There are a lot of indoor thermometers and humidity monitors on the market and many of them cost just around $10. The ORIA thermometer looks pretty sleek and it has the same price as other options, so I expected it could replace some older ones in my house. Let’s check it out. The thermometer has the same functionalities as seen on similar products. You will be able to see the current temperature and humidity, as well as min and max values. On the bottom, we have an indicator telling you if the humidity is dry, ok, or wet. The product feels pretty cheap as the whole exterior is made of plastic. You can hang it on the wall or use the built-in stand to place it on your desk. There is no magnet to stick it on your fridge. Another problem is that the display is not clear as compared to other products. You can see that the numbers are blurry, you can still see the temperature and everything but they should be sharper. 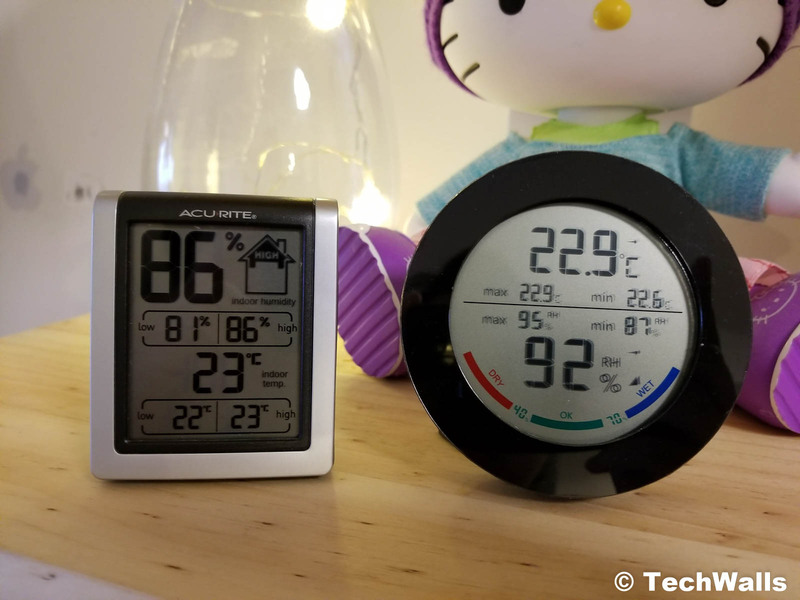 Besides, while the temperature seems to be accurate, the humidity reading is always higher when comparing to my other humidity monitors. Overall, this is just an acceptable product. There are more accurate thermometers and hygrometers on the market, so you might want to check out other options.